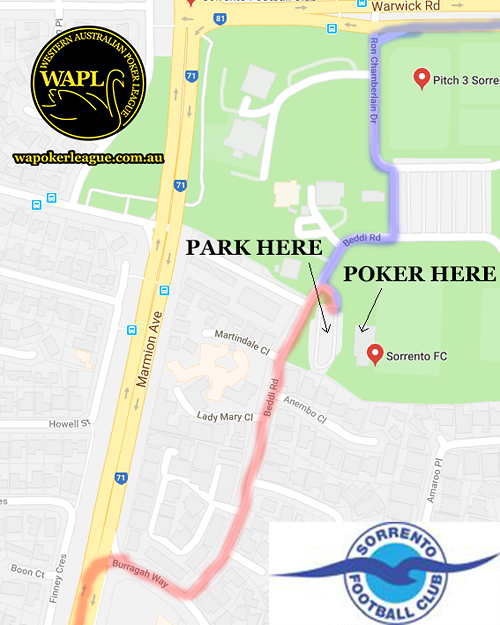 LIMITED SEATS, REGISTER EARLY VIA FACEBOOK PM ( facebook.com/WAPokerLeague )OR EMAILING info@wapokerleague.com.au ! 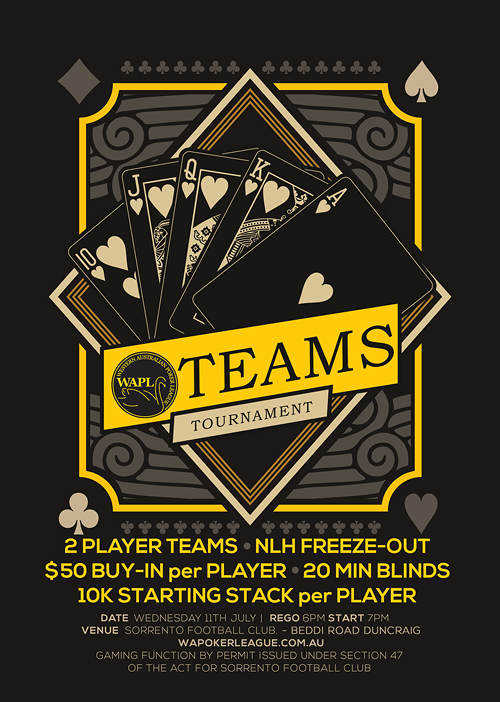 First team member starts @ 25/50 with 10,000 chips. Second team member replaces first @ 50/100 and brings an additional 10,000 chips to stack. From then on team members alternate every blind change.